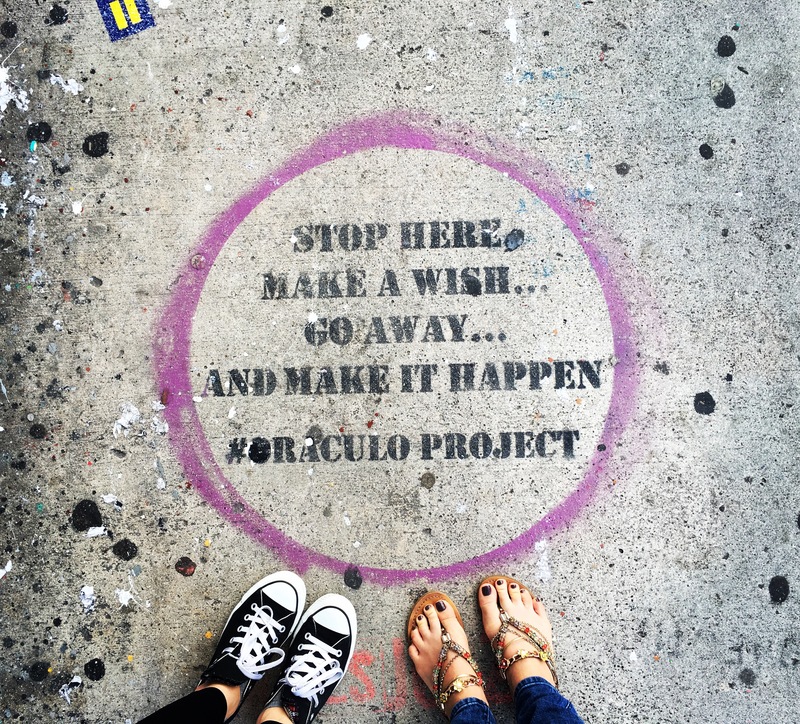 As I was walking down the Wynwood Art District today sipping on an Iced Hibiscus Tea, I literally stumbled across this sidewalk street floor art by the #OraculoProject and it stopped me right in my tracks! If you are wondering what was so poignant about this literal sign from the Universe, it’s that fact that on New Years Eve Eve, when all we seem to be pondering upon are concocting those ‘Resolutions’ G exclaimed we were so unlikely to keep… Instead of wishing upon a star and turning a resolution into a goal, we are hosning in on the wrong ideal. Really… The act of finding answers doesn’t seem nearly as succinctly defined as a goal, right? Y? A Goal is something you set your sites on working towards, with or without a time limit, it will be a future achievement, that with hard work, dedication, understanding and love it will come true, but a Resolution is about the act of resolving A PROBLEM! Don’t set your New Year off, with an instantly negative attribution towards your self- worth, by calling out a fault that needs to be “solutionized” (100% Spanish word, may not be as grammatically accurate in English, sorry! ), but instead set your sights on Goals that will make you, an even better person than you already are! You are amazing and although we all can establish goals to improve the little things about ourselves that can make us even better, don’t be resolute on calling out your faults in a negative way on New Years Eve! Be Amazing in 2016, BE YOU!